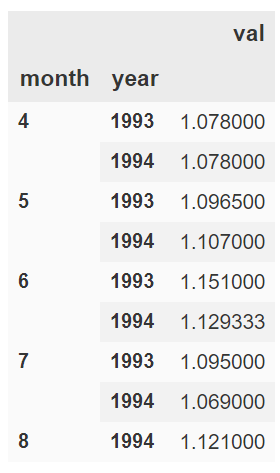 (2) Calculate the average gas price per year and per month. Can someone point me in the right direction, because I'm new to Stack Overflow and coding? This problem is so simple it doesn't even warrant using regular expression. The beauty of python is that you can always economize on code. without counting .head() and import pandas this is 4 lines of code. 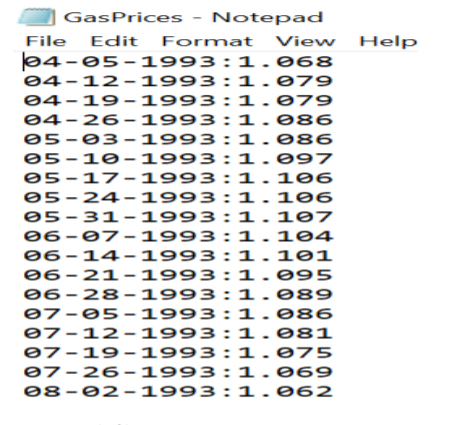 This code reads the file into a list called fullfile, strips newline characters, and puts the prices corresponding to the dates into a list of tuples using the split function. If you have questions comment. 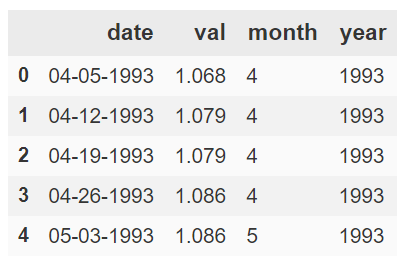 You can use the csv stdlib module, which is good for all sorts of character-delimited file parsing. Someone had mentioned using Regex, so I designed all of my answers using regular expressions. 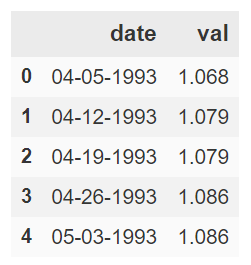 There are multiple ways to accomplish the first task in your question, which was to split the input data into 4 elements (month, day, year, price). I'm not sure what output you need, so you can modify this code to use a list, dictionary, etc. # The regex above has 3 groups. The method below uses list comprehension to archive the same results as the ones above. This answer is similar to Answer Three, but the input line has been added to the list comprehension code. This outputs a nested list like Answer Three. Not the answer you're looking for? Browse other questions tagged python python-3.x file or ask your own question.